This dim object is located only about 14.4 light-years (ly) from our Sun, Sol. It lies in the center (00:49:09.90+05:23:19.01, ICRS 2000.0) of Constellation Pisces, the Fish -- west of Delta Piscium and east of Omega Piscium. 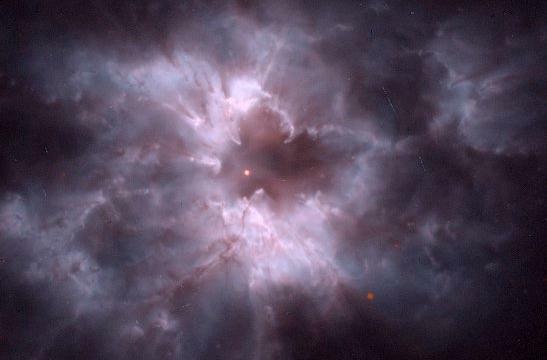 As a white dwarf stellar remnant, van Maanen's Star is too faint to be seen with the naked eye. Its significance as a very close Solar neighbor was discovered in 1917 by Adriaan van Maanen (1884-1946) who, in comparing photographs made between 1914 and 1917, noticed its high proper motion of 2.98" annually. Van Maanen had a reputation as a respected observer associated with the Mount Wilson Observatory. Even so, he was the second astronomer to observe a flare star (in 1939 within Constellation Ursa Major) and be disbelieved. Worse, van Maanen is now associated with the scientific dilemma of using widely accepted techniques that are, however, so susceptible to observer effects that even a careful investigator can be misled -- in van Maanen's case, into thinking that spiral galaxies were nebulae that had perceptible motions and so must be nearby (more). The observed number of white dwarfs in the Solar neighborhood comprises only about one percent of its dynamical mass density (Liebert et al, 1988), but most white dwarfs companions in binary systems with bright, main sequence stars probably have not been detected because of their relative faintness and because of the glare from the primary star (James Liebert, 1980). A recent survey of 146 DZ white dwarfs and their "externatlly polluted atmospheres" suggests that at least 3.5 percent of white dwarfs may harbor the remnants of terrestrial planetary systems, while another study of 129 white dwarfs within 20 parsecs (65.2 light-years) of the Solar System suggests that at least one fifth (20 percent) have "photospheric metals" that may have come from accretion of circumstallar debris disks which may have eventually produced planets or asteroid-like bodies (Farihi et al, 2010; and Sion et al, 2009). All the known white dwarfs within 20 parsecs (65.2 light-years) of the Solar System appear to be members of the thin disk, as none exhibit kinematic properties of the halo or extended thick disk Sion et al, 2009). Van Maanen's Star (also known as Van Maanen 2) is a stellar remnant of spectral and luminosity type DZ8.1 (Holberg et al, 2008), previously typed as DF-G. As a DZ white dwarf, it is relatively cool with metallic but no hydrogen or helium lines in its spectrum (Weidemann and Koester, 1989). It is the closest white dwarf to Sol without a stellar companion (i.e., as a stand-alone object), and its relative coolness suggests that it is a very old star, perhaps near or older than 10 billion years, but recent studies have presumed an age of 3.7 to 5 billion years based on cooling age, particularly in searches for a detectable brown dwarf companion (Burleigh et al, 2008; and Farihi et al, 2004; Bergeron et al, 2001). Van Maanen's Star has about 0.57 to 0.63 (up to a modelled 0.83) of Sol's mass (Burleigh et al, 2008; Farihi et al, 2004; Bergeron et al, 2001; and Volker Weidemann, 1960), but with only about 1.3 percent of its diameter (Gatewood and Russell, 1974), and less than 2/10,000th of its brightness. White dwarfs are incredibly dense objects because they squeeze a stellar mass into a planetary volume. According to Robert Burnham, Jr., Van Maanen's Star has a computed diameter of about 7,800 miles (just under the Earth's diameter of 7,930 miles), which results in a density of about 20 tons to the cubic inch, or about 10 times the computed density of Sirius B, the closest known white dwarf. While tiny compared to main sequence stars, white dwarf stars are actually intensely hot, but without the internal heat of fusion to keep them burning, they gradually cool and fade away. Some alternative names and useful star catalogue numbers are: Gl 35, Hip 3829, G 1-27, G 70-16, LHS 7, LTT 10292, LFT 76, Wolf 28, WD 0046+05, WD 0046+051, and W 5. While a possible astrometric perturbation with a 20-year period was detected by Peter van de Kamp (1971), Gatewood and Russell (1974) were unable to confirm any periodic regularities in the orbital motion of Van Maanen's Star although a large scatter in the residuals of one coordinate may indicate the presence of a second body. In 2003, an analysis of Hipparcos astrometry data suggested the presence of a 0.06 +/- 0.02 Solar-mass, brown dwarf companion with an orbital period of 1.57 years and a maximum separation 0.3 arcseconds (Valeri Markarov, 2004; and Farihi et al, 2004). 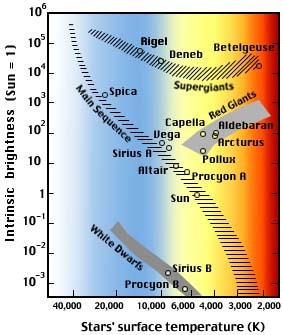 Subsequent infra-red searches for "ultra-cool" substellar and planetary companions have ruled the presence of planets with more than 7 +/- 1 Jupiter-masses within 13 to nearly 199 AUs -- 3 to 45 arcseconds at 14.4 light-years (Burleigh et al, 2008; and Farihi et al, 2004). The following star systems are located within 10 ly of Van Maanen's star. Up-to-date technical summaries on this star can be found at: the Astronomiches Rechen-Institut at Heidelberg's ARICNS, the NASA Star and Exoplanet Database, the Research Consortium on Nearby Stars (RECONS) list of the 100 Nearest Star Systems, and the SIMBAD Astronomical Database. Additional information may be available at Roger Wilcox's Internet Stellar Database. Constellation Pisces (the Fish) is faint but can be found along the celestial equator swimming north of Aquarius (the Water Bearer) and Cetus (the Whale or Sea Monster) and surrounded by Pegasus, Andromeda, Triangulum, and Aries. For more information on the constellation and an illustration, go to Christine Kronberg's Pisces. For another illustration, see David Haworth's Pisces.